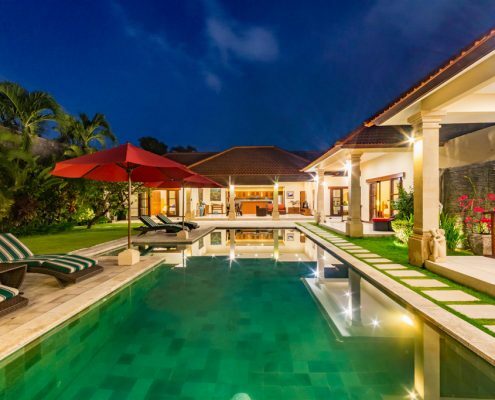 Looking for a 4 bedroom villa Seminyak ? 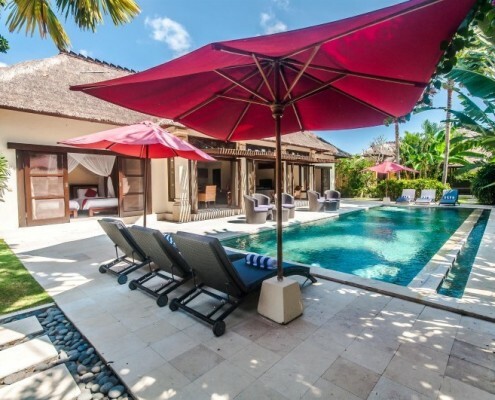 We have several stylish 4 bedroom villas Seminyak available, where you can enjoy all the comforts of home and much more! The beautiful villa interiors have been exquisitely styled, with contemporary artwork adorning the walls and stunning furniture throughout, seamlessly matching the design of the villa. 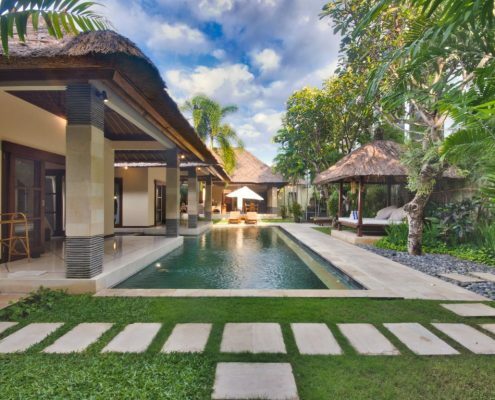 When you stay in one of our wide selection of Seminyak 4 bedroom villas, you will appreciate open plan living at its finest. With 4 bathrooms, spacious living areas, modern kitchens and the latest appliances, you won’t want to leave! Relax in the lush outdoor garden and luxuriate in the warm, tropical sunshine while reading a book or sunbathing on a sun lounge. As all the villas come with large, private swimming pools, you will be able to keep the kids entertained for hours, allowing you to do as much or as little as you’d like. With several 4 bedroom villas available, you can choose the layout, décor and budget which best suits you. 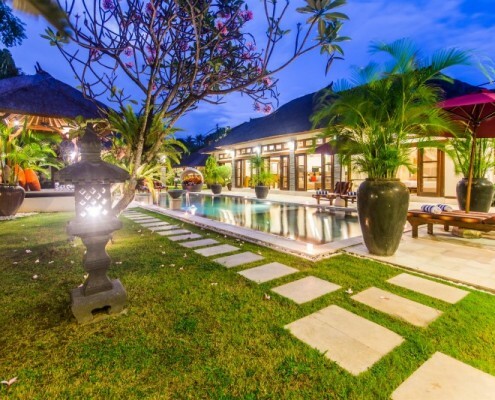 Because our villas are centrally located in Seminyak, you have access to everything this popular coastal area has to offer. 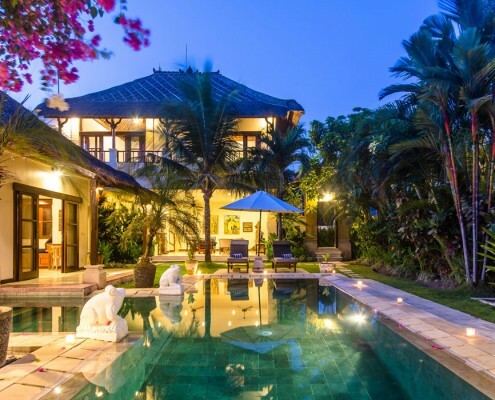 Seminyak is renowned as Bali’s most fashionable area. With international designer boutiques, world class restaurants, thriving nightlife and bars there’s always something for you to do. 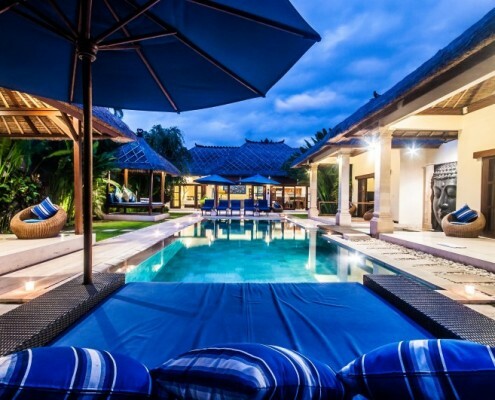 If you’d like to find out more about our stylish Seminyak villas, contact us today. We are happy to answer any queries you have or make a booking for you. • Cool water feature connected to the pool between the guest houses, you are "right on the water" when you walk out of your bedroom! • Outdoor covered lounge and entertainment area! • Convertable beds - for couples or singles!